Firstly drain the black beans and then warm them in a small pan with garlic, salt, pepper and a glug of olive oil. As they are warming, heat a frying pan and lay the tortillas in one by one, turning over and gently warming, cover with a clean tea towel and set aside. Now to assemble the wrap. Lay out the tortilla in front of you. 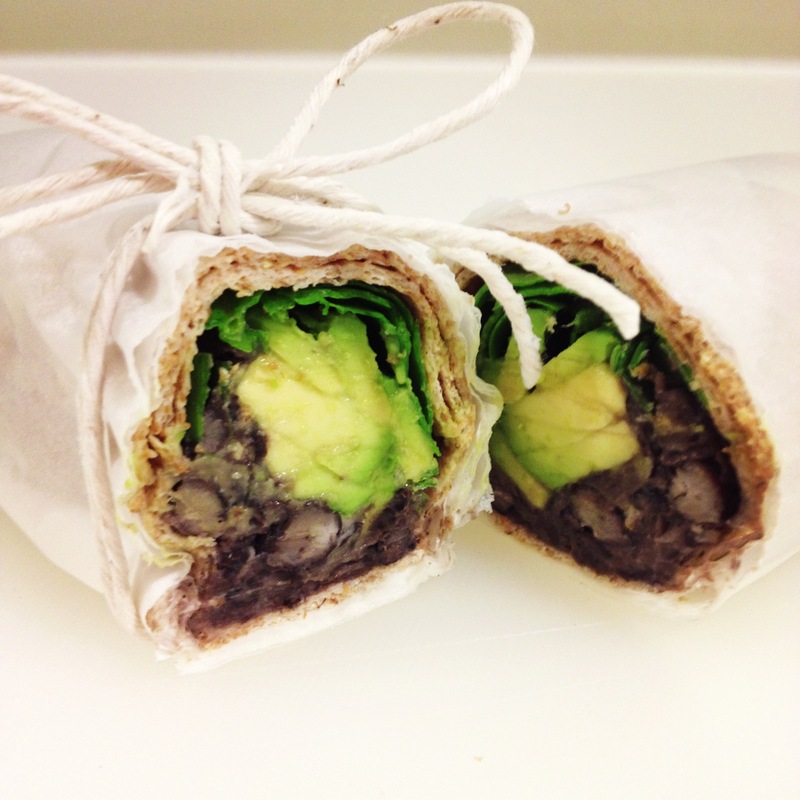 Spread a layer of black beans down the middle then top with spinach and avocado. Roll tightly and then wrap with baking parchment fixing it in place with string. A quick and easy recipe that adults and kids love. Packed full of wholesome goodness! Enjoy! Start by warming the coconut oil in a large pot over medium heat. Sauté the onion and the carrot for about three to five minutes. Next, add half of squash and sweet potato to the pot and pour in the vegetable stock. Then add the spices and salt and bring to a boil. Once it has started to boil, reduce to a simmer and cover while allowing it to cook for about twenty minutes or until all of the veggies very tender. Meanwhile set your oven to 180C. In a bowl combine the other half of the squash with 2 tbs of melted coconut oil and generous amounts of salt and pepper. Roast for about 45-50 mins until cooked through and caramelised around the edges. Set aside to use as garnish later. To make the watercress cream, warm 1/4 cup of coconut milk to just before the boil. Roughly chop the watercress and throw into the pan. Stir until the watercress wilts. Whizz with a stick blender or in the VitaMix and set aside for garnish. Using a stick blender or a VitaMix, puree the vegetables until its a thick, smooth consistency. Add the coconut milk and continue to blend until it is mixed thoroughly. 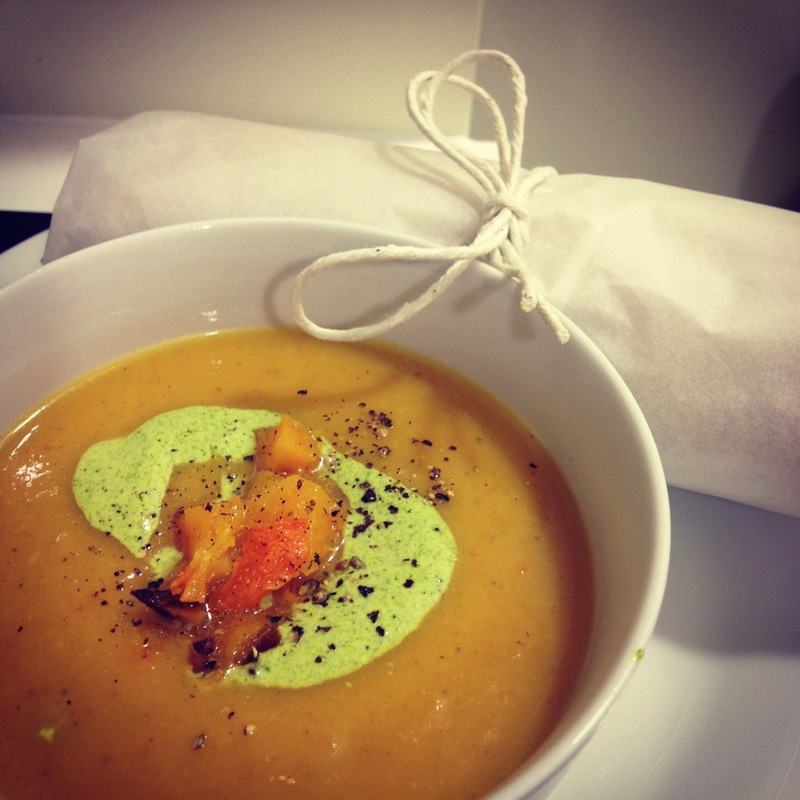 For serving, warm the soup, chop the roasted squash – top a deep bowl of soup with a small sprinkle of roasted squab and a big swirl or watercress coconut puree. In a large pot of boiling salted water blanch the broccoli florets for 2 minutes – best to be still quite crunchy, don’t over cook! Remove to a bowl of ice water, drain and leave to dry completely on kitchen paper. 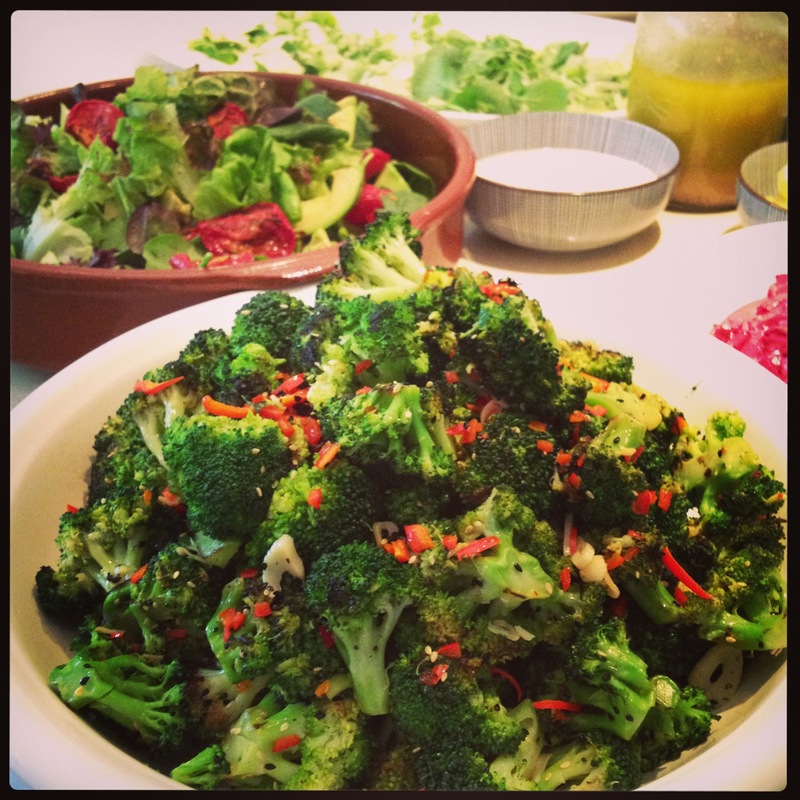 In a large bowl toss the broccoli with about 30ml of the olive oil and liberal amounts of salt and pepper, set aside. Meanwhile place your griddle pan over a high heat until it is smoking hot. Griddle the broccoli in batches, turning to get char marks on all sides. Return to bowl and set aside. Place the remaining oil in a pan together with the lemon juice, garlic and chillies. Cook on a low heat until the garlic begins to turn golden brown. Be careful not to let the garlic and chilli burn – they will continue cooking in the hot oil even when off heat. Less is more here! Pour the garlic, chilli, lemon oil over the hot broccoli and toss well. Season to taste, sprinkle with black sesame seeds. Serve immediately or at room temperature. A really easy dish, perfect as a salad or an accompaniment to a main meal. Add to some noodles for an easy mid week vegetarian dinner or simply serve with steamed sea bass, keeping it light and asian. Enjoy! For all of you who have overindulged during the festive period and are needing to kick start the new year to a new improved you. Try introducing juices into your diet. A great way to get large amounts of vitamins and nutrients straight into your system. 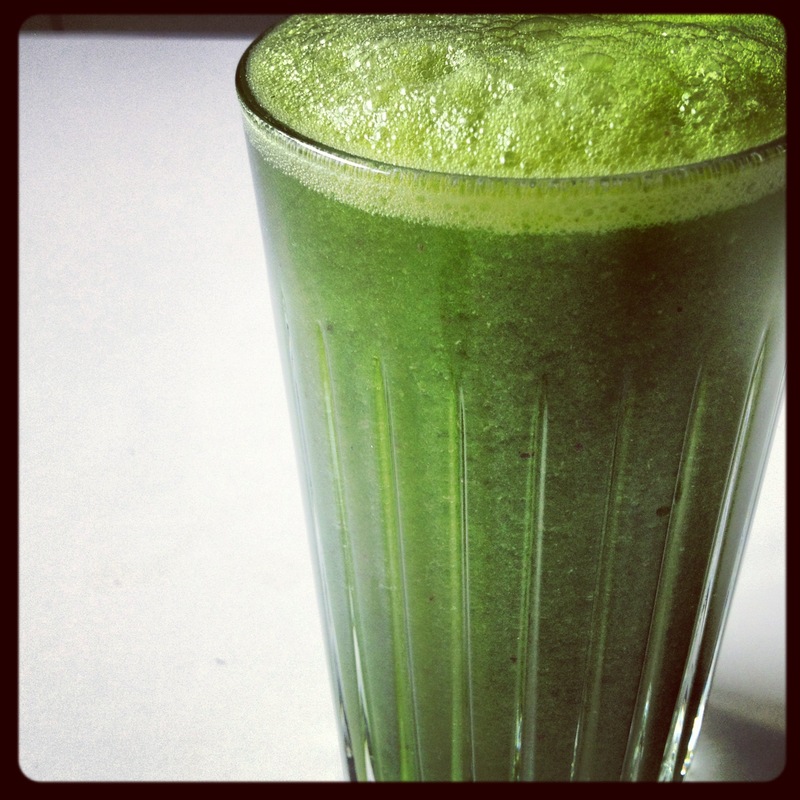 This is an enzyme-rich green juice. It’s great for providing energy, detoxifying and alkalising your body. Firstly wash all ingredients thoroughly. If you are lucky enough to own a Vitamix then throw all in on low for 30 secs and the on full for a further 20 sec. Pour over ice and sip slowly to enjoy all the benefits. If you have either a centrifugal juicer or a masticating juicer combine all the ingredients and pass though as you would usually do. Again pour over ice and sip slowly to enjoy all the vitamin and nutrient goodness. I sometimes add chlorella, spirulina or a wheatgrass to give an added boost. Preheat oven to 175C. In a food processor, pulse together almond, salt and shredded coconut until finely ground. Melt together coconut oil and maple syrup and add to almond flour and coconut mixture, pulse until coarse crumbs form. Pop the dough to a greased 9-inch loose bottom tart tin. Using a measuring cup or your fingers, evenly press dough in bottom and up sides of tin. Bake until golden and firm, about 15- 20 minutes. Transfer to a wire rack to cool completely for about an 1 hour. Spread the shredded coconut evenly over a shallow tin and bake until lightly golden (about 3-5 minutes). Set aside. 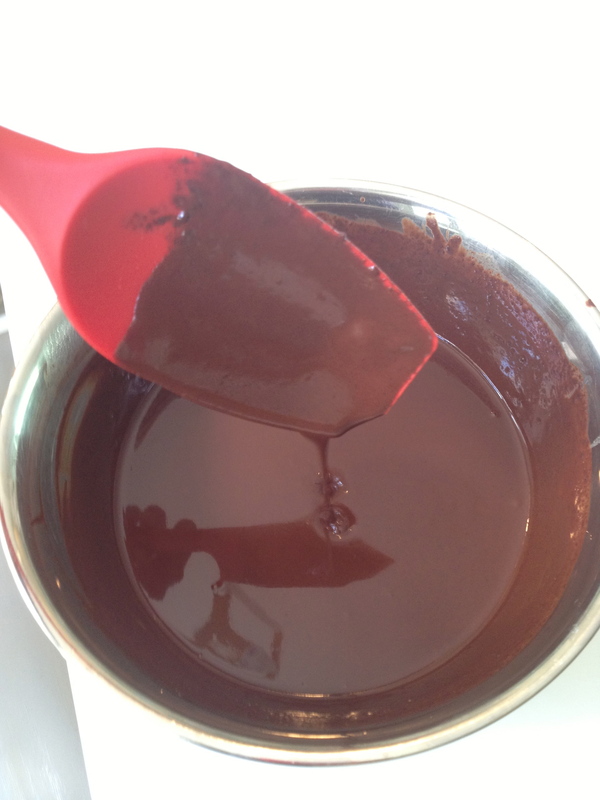 Place chopped chocolate in a large mixing bowl. In a small saucepan, bring coconut milk to a boil. Pour hot coconut milk over chocolate and let stand 1 minute, then stir until smooth and creamy. Mix in vanilla extract. 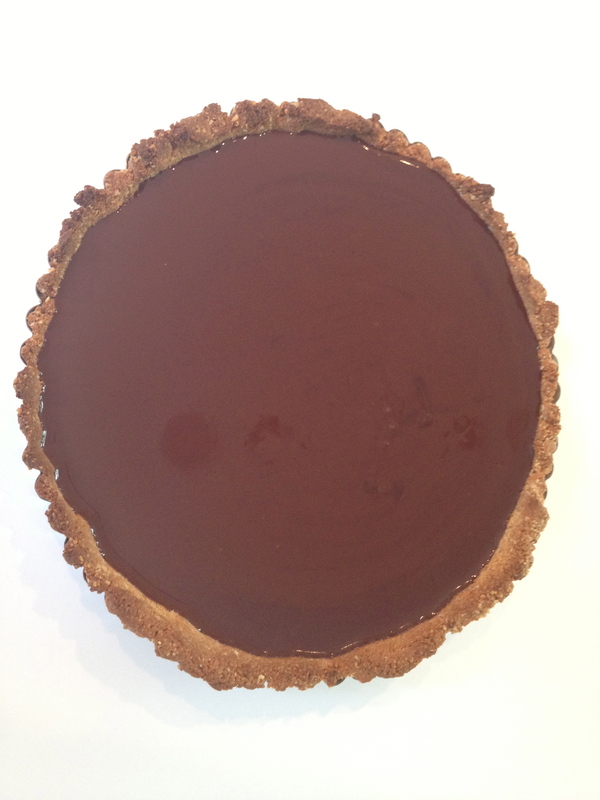 Pour chocolate into cooled tart shell. 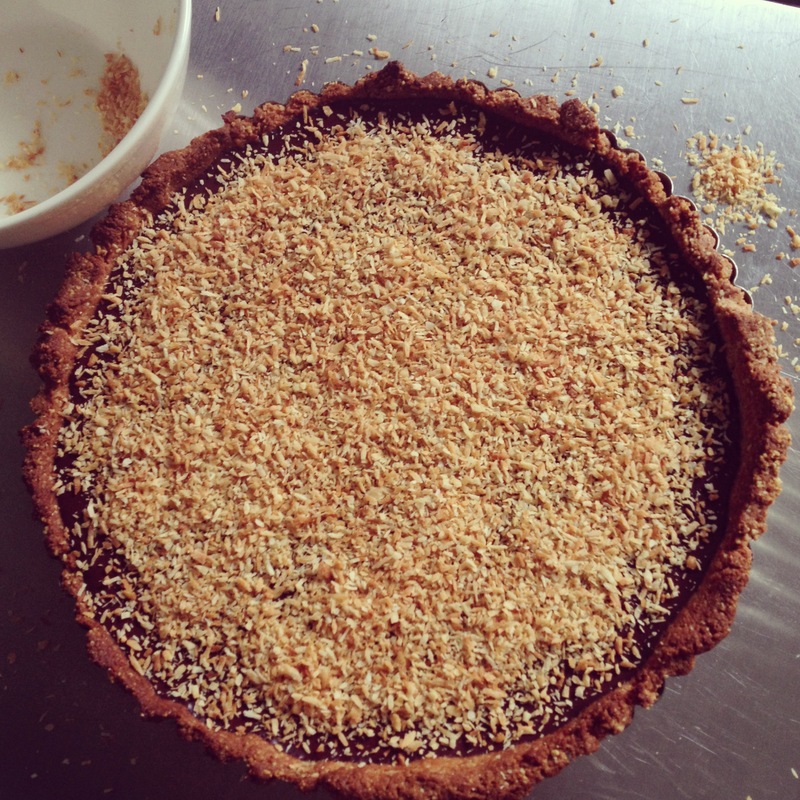 Lightly sprinkle toasted coconut across the top. Sprinkle with a pinch of sea salt if desired. Chill for at least one hour or until set and serve. 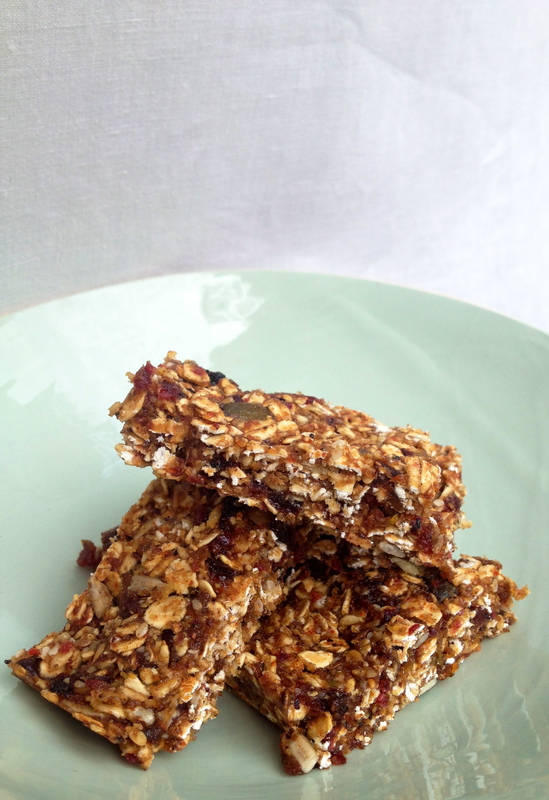 This is such a crowd pleaser and almost healthy! I have a great friend who has been asking for this recipe for a little while now, sorry Hercule’s Cakehouse, better late than never! 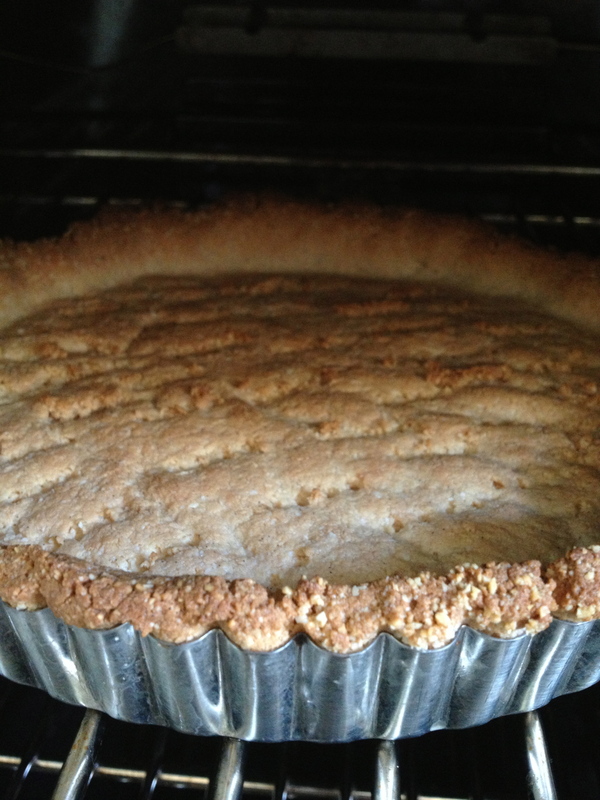 I also use the pastry as a mince pie crust at Christmas and also for any other gluten free tart base. A healthier and just as tasty alternative to all that butter! Enjoy. Brrrrr its cold! Winter is creeping up on us little by little, the days are short and the dark is long. I don’t know about you, but i’ve been craving vitamins and whole food goodness recently. These little treats are filling the craving beautifully. Packed full of nuts, seeds and natural energy, these bars make a great snack….. pre or post work out, breakfast on the run, lunch box filler, mid morning boost, afternoon pick-me-up, the list goes on! Give them a go, super quick and easy! Toast the almonds, sesame seeds and oats in a large deep frying pan, stirring continuously for 10 – 12 mins until evenly golden. Take off the heat and set aside. Combine all the fruit in a food processor and pulse until the fruit resembles a sticky paste. Set aside. Bring the water to the boil in a small pan. Once boiled, tip in the flax seed, almond butter, coconut oil, maple, vanilla and salt. Stir well to combine and set aside to cool. In a large mixing bowl add all the elements together. Combine well – you may have to get you hand involved in mixing this one! Once fully combined, tip into a lined tin and refrigerate until it is firm. 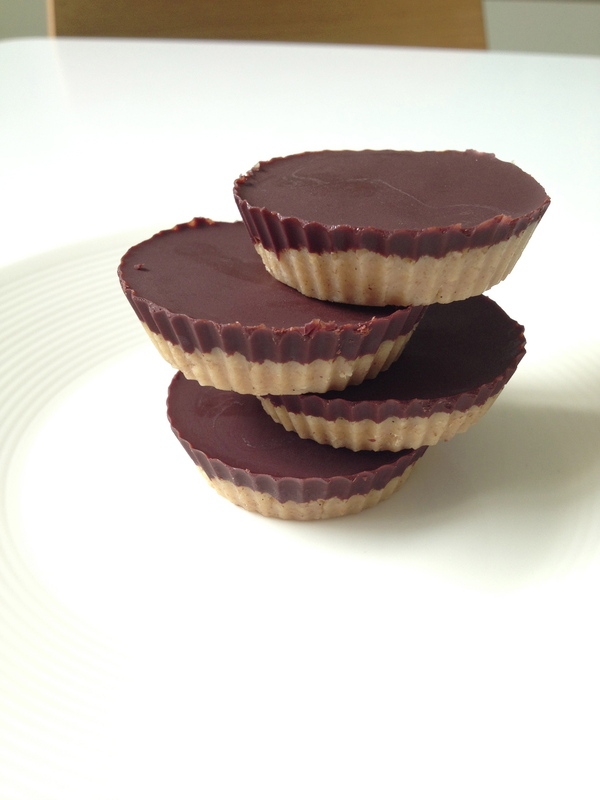 Slice into bars and keep in an air tight container in the fridge. Combine all the base ingredients in a bowl, making sure it is well mixed. It will resemble a sticky dough. Take a rounded tsp of mix and press into muffin cases in a muffin tin. Smooth down well and refrigerate. While the bases are firming up in the fridge you can prepare the topping. Melt the coconut oil over a medium heat. Once melted, take off the heat and tip in the grated chocolate. Stir until combined and silky and glossy. Remove the muffin tin from the fridge and top each base with 2 tsp of the chocolate topping. Chill for 1 hour and then pop out of the cases and store in the fridge in an air tight container. They will keep for up to a week in the fridge……. I find they don’t last that long!